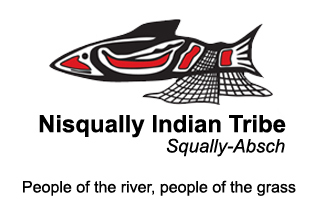 We are excited to announce that we have received a grant for our Summer Food Program from the Nisqually Indian Tribe. It is an honor to be a recipient again this year. 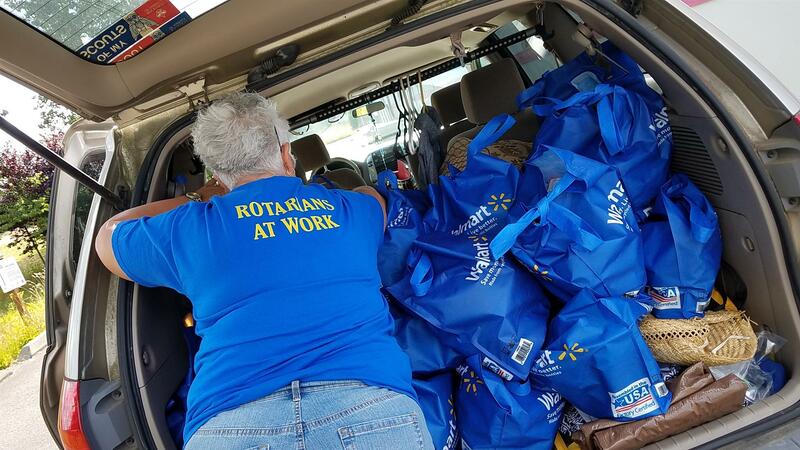 We appreciate all the support that they give back to our community. Thank you so much! 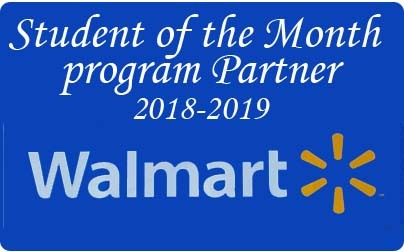 It is with great pleasure that we introduce our December 2018 Student of the Month, Erin Connally. Erin embodies the best of YHS students. She can always be counted on to help with community events such as the blood drive, color run, CPR classes and more all while maintaining a good GPA and taking challenging classes. A varsity athlete herself, Eric has dedicated over 650 hours to athletic training in the prevention and care of injuries for fellow athletes at YHS. She will be attending Centralia Community College next fall where she will continue to study athletic training and play soccer. 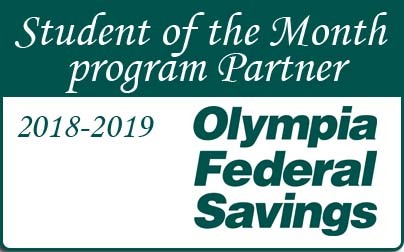 On behalf of our business partners City of Yelm - Government, Walmart Yelm and Olympia Federal Savings we wish to say - Congratulations Erin! 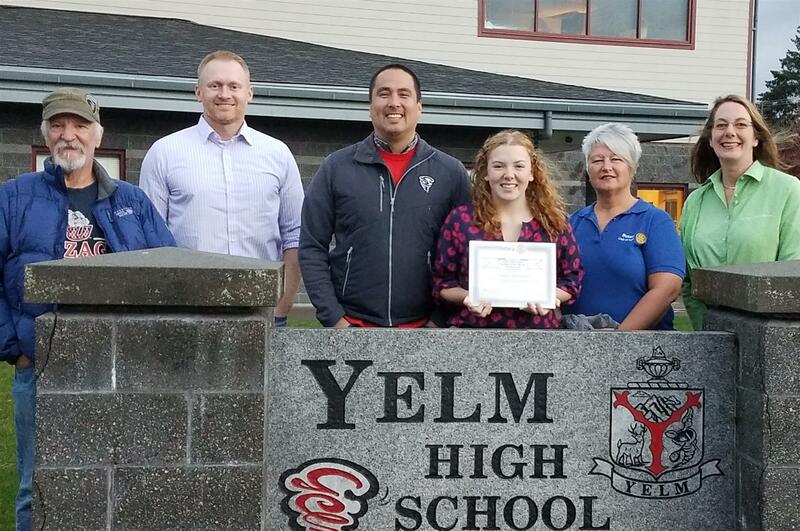 A big Thank you to Yelm Real Estate and Business Network for your generous donation. We appreciate your support ! 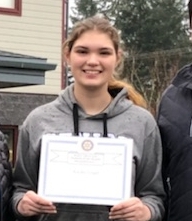 The Rotary Club of Yelm is honored to announce our November 2018 Student of the Month, Bekah Hume. Bekah has her eye clearly on her future and is blazing a path towards it. She is respected by peers and staff alike at YHS where she played varsity soccer for 4 years of and has contributed well over 400 hours in community service just through her sports medicine program alone all while maintaining a 4.0 GPA. She has already been accepted into Whitworth's 5 year master's track program for sports medicine and is excited to attend next fall. 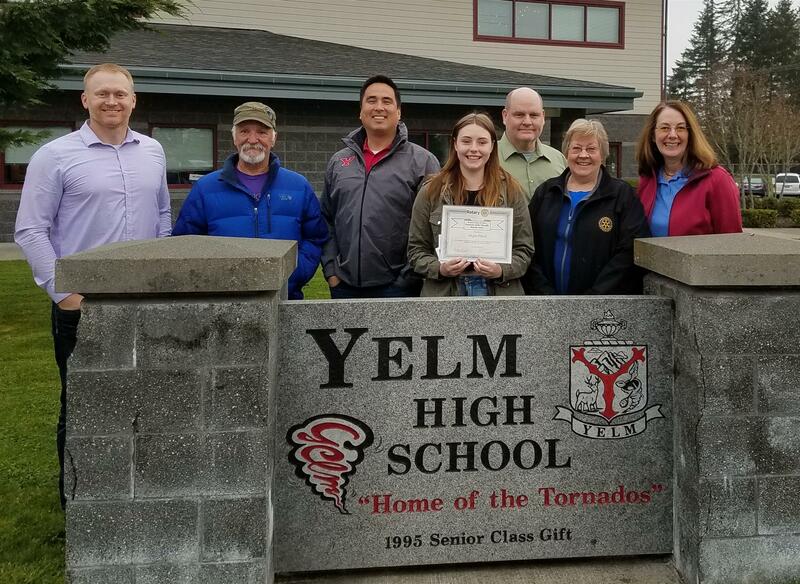 Addyson Wilson-Heid is an outstanding YHS senior who has made an incredibly positive impact on not only her high school, but her Yelm community as well. She is an excellent student who participates in numerous school activities and community service programs. She has big dreams for after graduation and there's no doubt she will accomplish whatever she sets her mind to and make a big impact on the world around her. 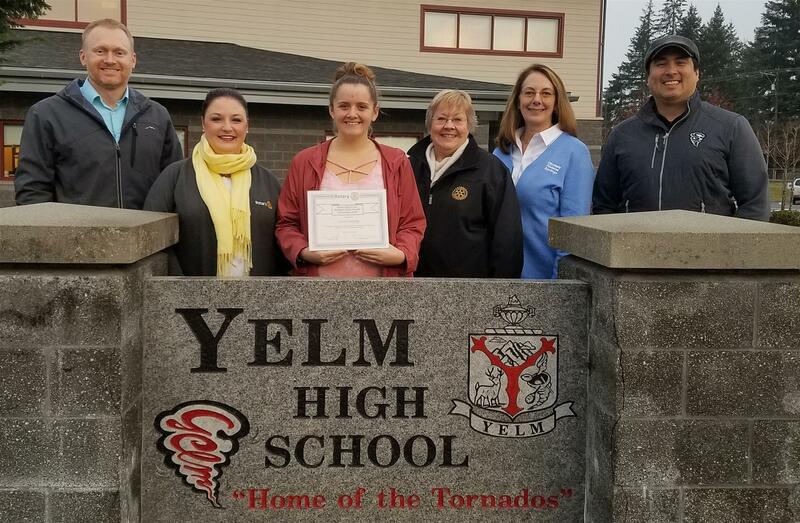 Along with the certificate she was presented a gift card from Walmart Yelm and a savings bond from Olympia Federal Savings. She will also be honored on Tuesday, November 13th at the City of Yelm - Government City Council Meeting. Britney is an outstanding Yelm High School senior who embodies many wonderful qualities. While maintaining her own good grades, she is an advocate for others and is a volunteer in a program for helping freshman who are facing challenges. Her kindness and maturity make her an effective advocate for these students. She has applied to be a volunteer at the Yelm Library and hopes to volunteer at a Senior living facility as well. 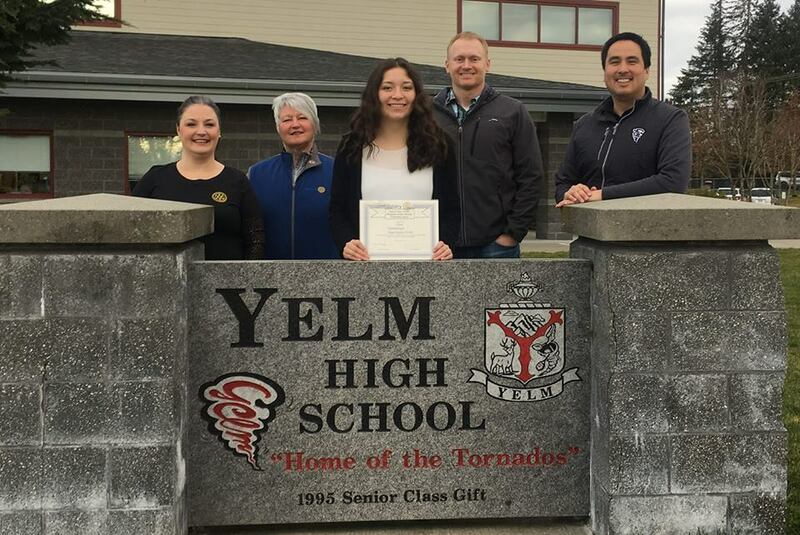 She is an exemplary Yelm citizen. Along with the certificate she was presented a gift card from Wal-mart and a savings bond from Olympia Federal Savings. 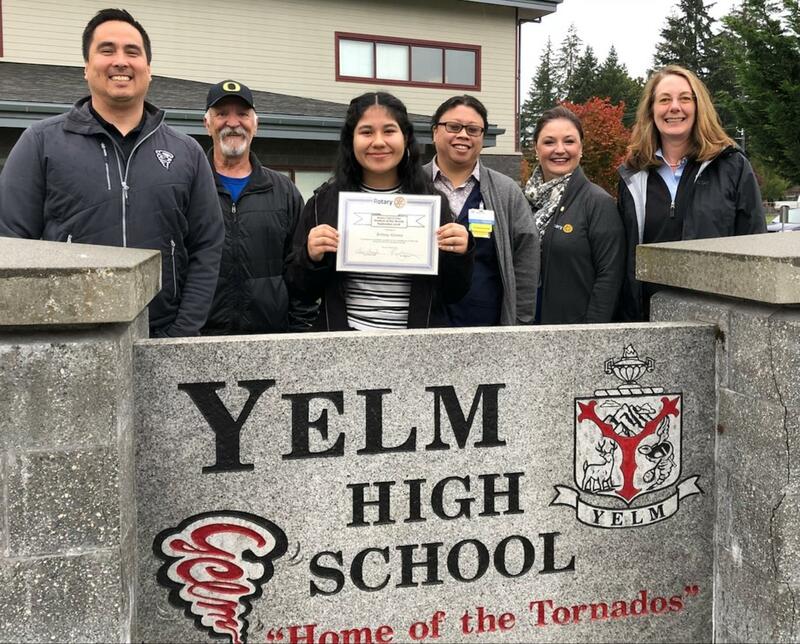 Pictured from left to right are YHS principal Ryan Akiyama, Rotarian Larry Hanson, Britney Alvarez, Co-Manager at Yelm Walmart LiAn, Rotary Club of Yelm president Tess Faughn, and Jane Walker with Olympia Federal Savings. Britney was also be honored on Tuesday, October 9th at the City of Yelm - Government's City Council Meeting. 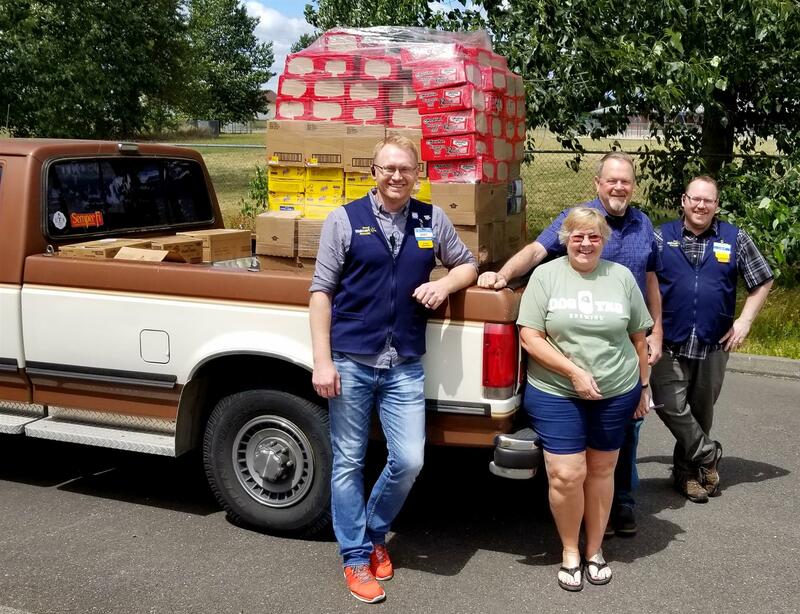 Our annual Summer Food program, 12 weeks of Summer, has begun. Today marks our 3rd weekly distribution. We really appreciate all the volunteers that give of their time to help us with this project. 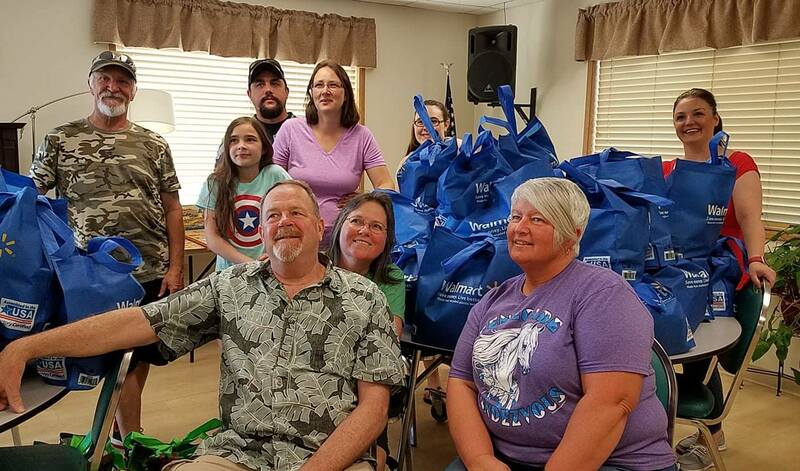 We have received tremendous support from the community including monetary donations, re-useable grocery bags, food, and more. We have several businesses that are hosting PB&J Food Drives (Peanut Butter & Jelly) and we appreciate you all! We are proud to announce Kaylee Logan as our Student of the Year, 2017-2018. With this honor goes a scholarship to aid in her future education. Kaylee is an outstanding student in addition to a community service super star. She is a passionate, committed member of FFA. She is talented in writing and winning grants, coordinates a program with our local food bank and the garden, as well as raises animals of her own. Her philanthropic endeavors don’t end there as she has countless community service hours of which she is incredibly proud. Besides her outstanding dedication to community service, the other thing that truly makes Kaylee stand apart is that she is a member of the US Women’s Roller Hockey Team and has traveled internationally to compete in three World Championships. She is extremely proud to represent our country and is working to help make roller hockey an Olympic event. In addition to these amazing activities, she is a member of the Equestrian Team and the American Legion Ladies Auxiliary. 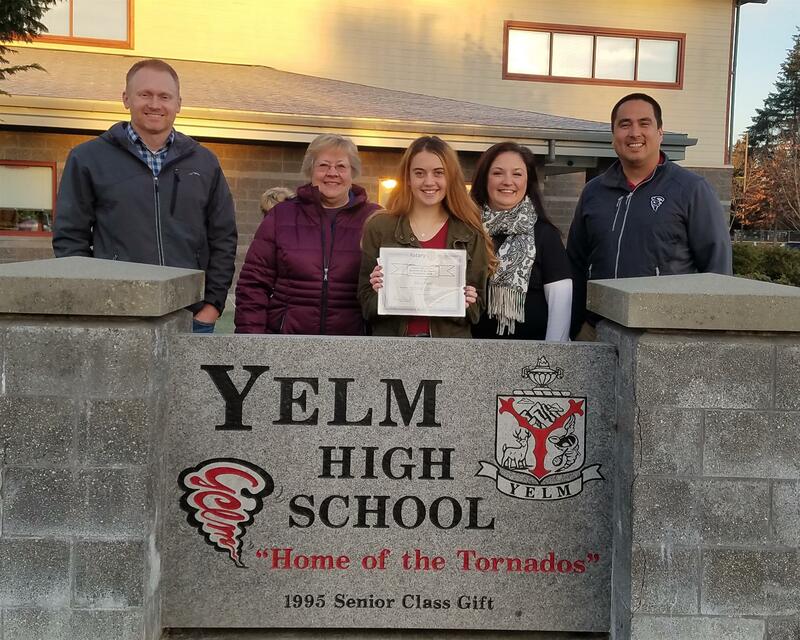 Kaylee is a senior at Yelm High School and looks forward to continuing her education towards a degree in Chemical Engineering. Congratulations on representing what Rotary is all about, Service Above Self. 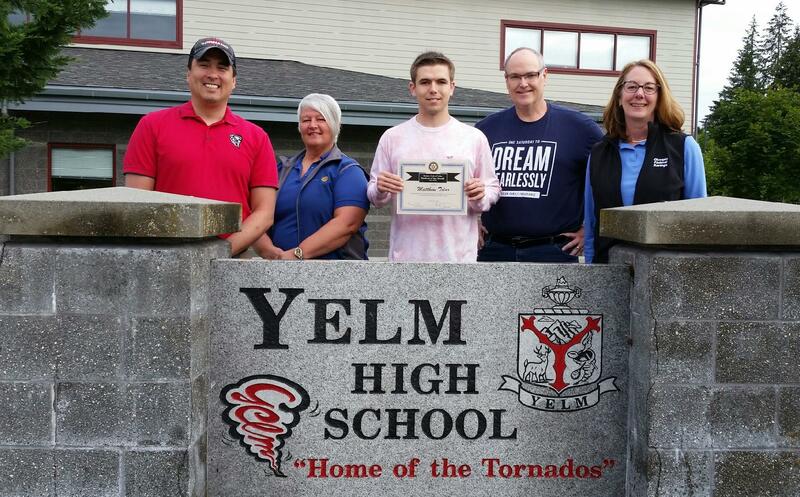 The Rotary Club of Yelm​ is honored to announce our Yelm High School​ May 2018 Student of the Month, Matthew Tolar. Drama club President, talented thespian, stage manager and athlete, Matthew Tolar is another shining example of our outstanding YHS seniors. This Rotary student of month will be attending PLU in hopes of studying law and has a very bright future ahead of him. 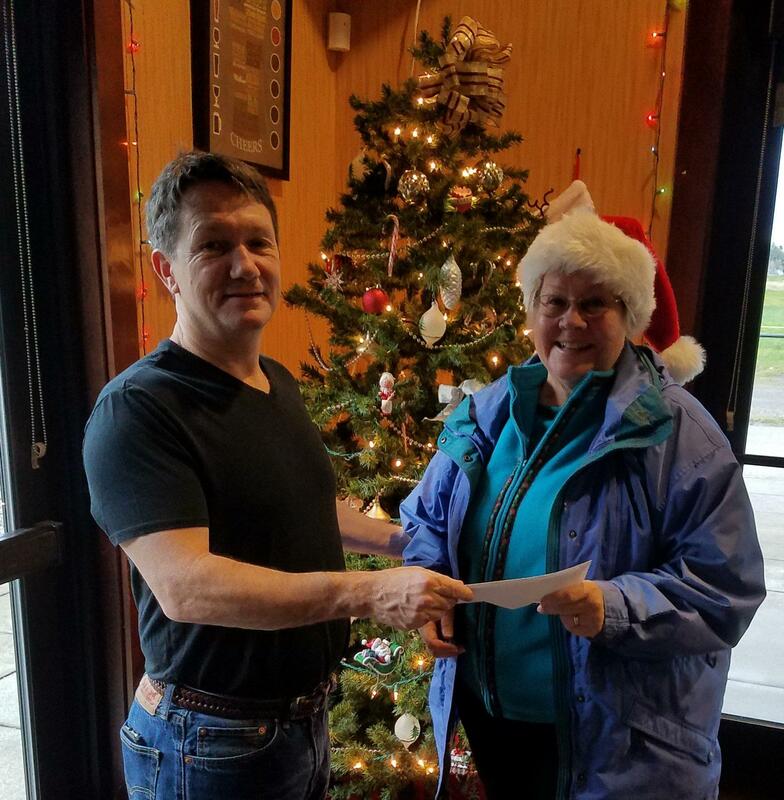 Along with the certificate he was presented a gift card from Walmart Yelm​ and a savings bond from Olympia Federal Savings​. 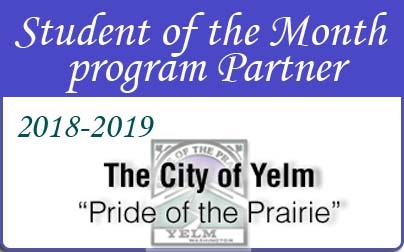 Matthew will also be honored on Tuesday, June 12th at the City of Yelm - Government​ City Council Meeting. 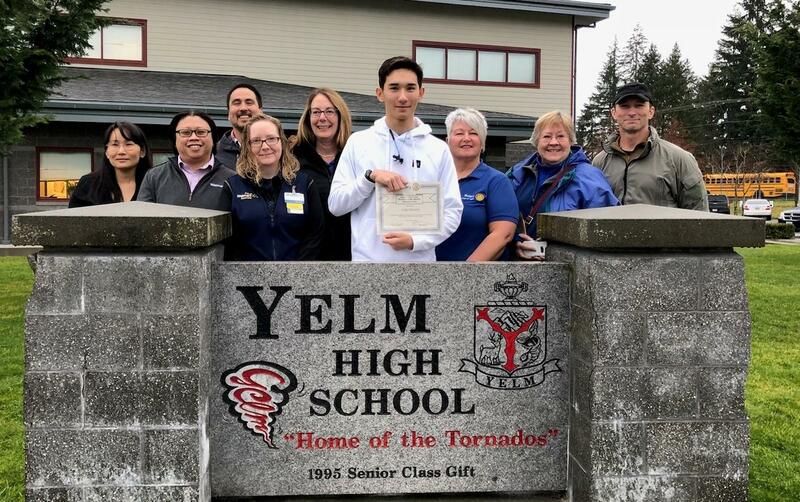 Pictured are left to right, YHS principal Ryan Akiyama, Rotarian Kim Lyle, Matthew Tolar, Rotarian Ken McCulloch and Jane Walker with Olympia Federal Savings. 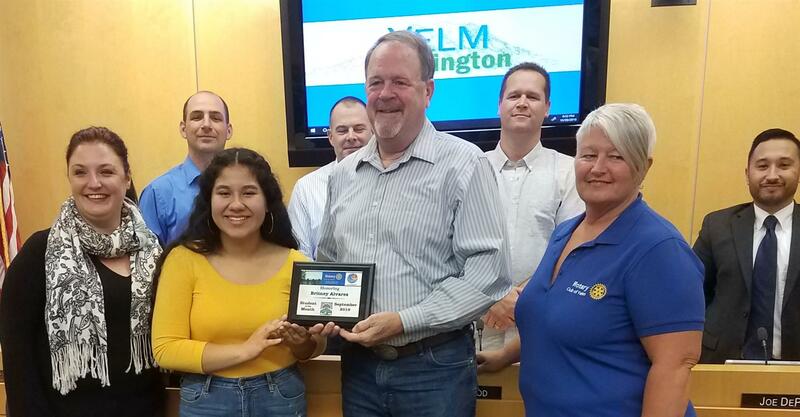 Rotary Club of Yelm was excited to participate and help sponsor the Lackamas Elementary Kindness Week. Several of our members served root beer floats during lunch to around 300 students. Then we went to the Kindness station and saw how the students were completing their tasks. 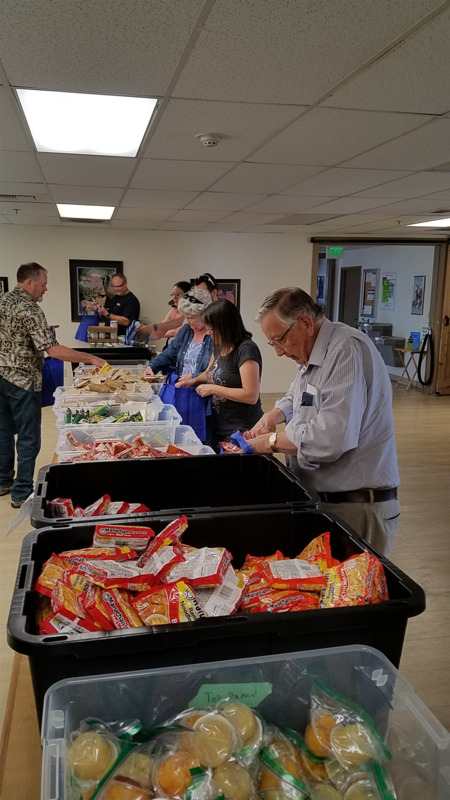 With a goal of 3000 kind acts this week they will be busy!